American Horror Story is one of my most highly anticipated fall shows every single year. Although the past few seasons have been a bit of a let down for me, I still get extremely excited for the new premiere every year. American Horror Story became one of my favourite television shows way back during the first season. Murder House was a great way to introduce the disturbing and risque themes that have now become second nature to those who watch. American Horror Story: Asylum started out great and it was definitely on the right track, but unfortunately it lost me at the end the second it introduced the idea of alien characters, it felt extremely random. American Horror Story: Coven was a complete let down for me. Although it had its dark moments, it had a more campy undertone to it and that just didn’t jive with me. When I think of American Horror Story, I want to be scared and creeped out. American Horror Story: Freakshow had so much potential in terms of story line and characters, but sadly once again, it was a let down. The story went no where and I don’t think it lived up to the potential that I was hoping for. So I bet you’re wondering why I praise American Horror Story and continuously get excited for it every single Fall. Honestly, I think it’s because of how rebellious it is. No other show dares to go where American Horror Story goes on television, especially in North America. It’s disturbing and dark and risque and unique. The idea of having the same actors return as different characters in a completely new setting is intriguing and that idea alone has so much potential. One of my biggest critiques of past seasons is that they bring all of these talented actors and actresses on to this show and they have this great opportunity to create completely unique characters for them to portray, but as is evident with Jessica Lange, they usually just end up playing a character with the same traits as the one they portrayed previously. What I loved about this premiere episode of American Horror Story: Hotel was that it seemed to stray from that mistake. Sarah Paulson as Sally, a regular patron of the hotel who also happens to be quite the junkie, is a fantastic change. Also, having Matt Bomer and Lady Gaga as part of the main cast does a pretty good job in luring me in. 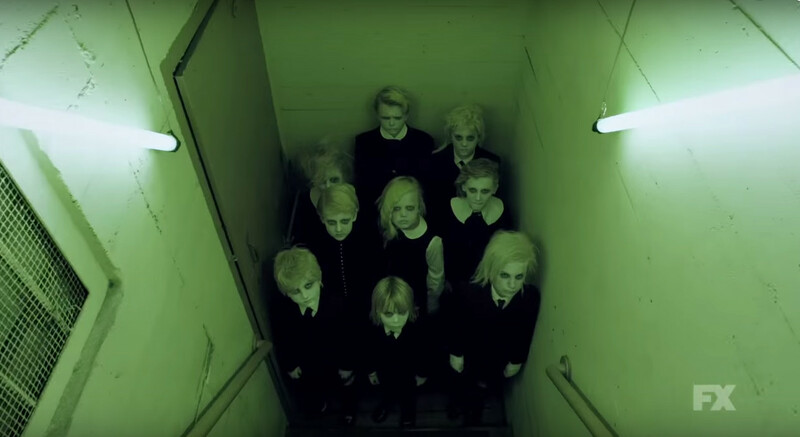 After watching this first episode, I can say that it definitely does give me some American Horror Story: Murder House vibes, which is probably why I enjoyed it so much, being that season one still remains to be my favourite season. There are some very similar elements that I won’t discuss due to potential spoilers, but if you liked Murder House I think you will love Hotel. 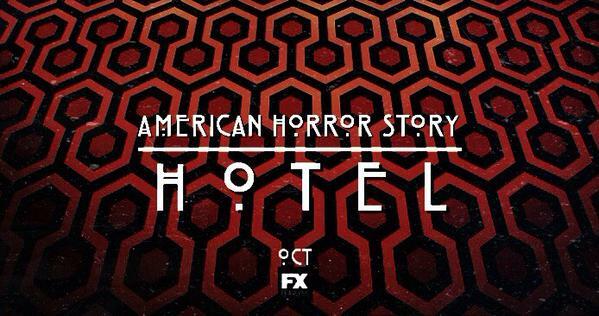 The main difference between Hotel and Murder House is that Hotel feels much darker in terms of story line. There is a lot of drug use and not in a “happy party time” kind of way. This season is definitely going to explore the darker side of drug use. This season is violent and gory and I think we can assume we’re going to feel a little bit disturbed as this season continues. Also, are we dealing with some vampires this time around? If so, I’m excited. I love the idea of vampires, especially when they are portrayed as evil, relentless, blood thirsty monsters…as they should be. Believe me, there are no sparkling vampires here. Unless you count the beautiful baby blues that belong to Mr. Bomer. There are also a lot of creepy little children running around the hallways of the hotel, almost paying a little bit of an homage to The Shining. I’m going to assume there are going to be many more little nods to other famous horror hotels throughout the remainder of the season. Lady Gaga barely speaks throughout the entirety of the episode, but when she does, she is subtly terrifying. I think she did an amazing job in this premiere and I am stoked to watch the rest of her performance. As you can clearly tell, Matt Bomer could be eating the gum off the underside of a desk and I would watch it, so I might be a little biased in critiquing his portrayal of Donovan, but I mean…he’s just always so alluring, which fits his character perfectly. Wes Bentley plays a cop that seems to have somehow gotten himself tangled up in the mess of the hotel. I look forward to his performance as well, as I have been a fan of his work ever since viewing American Beauty for the first time. It’s no secret that American Horror Story is full of amazing talent and I’m eager to see how all of the characters fit together. In true Ryan Murphy fashion, the premiere wouldn’t be complete without a fantastic soundtrack. I was reminded of some songs that gave me serious nostalgia (Tear You Apart by She Wants Revenge, anyone?) Not to mention the fantastic use of Hotel California by The Eagles toward the end of the episode. Everything from the song choices to the 80’s feel of the musical score was fantastic. Overall, I was very happy with the premiere and I think it set up a great beginning to what looks like an amazing story. We still haven’t even met a few characters, such as those portrayed by Evan Peters and Finn Whitrock, so I’m very excited to see how they play in to the story. Let’s hope that this season can live up to my high expectations! “YASS Gaga, slay!” has an entirely new meaning now.